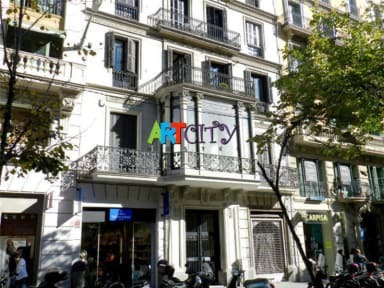 ArtCity is a brand new property in Rambla de Catalunya just in the center of Barcelona in one of the main and known street of the city. We are close to the famous Gaudi House of Paseo de Gracia. 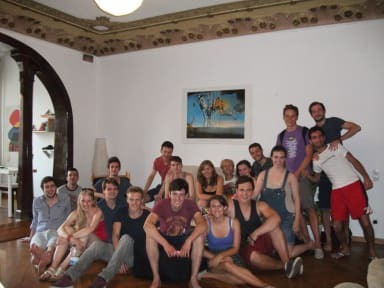 We have 'Private rooms', 'Mixed Dormitory' and a large 'Living room' with free Wi-Fi. Our property is a comfortable place where spend your holiday or just to rest during a trip. * No lockout & no curfew. * Big Living room to sit down, drink, talk and relax. * Luggage room free to leave suitcases during the day. We had a really great stay. We came to visit the footballmatch. Unfortunately we could only book one night instead of two because they were fully booked but it was a real nice stay. Clean room, kitchen with all supplies you need, really nice staff and great location! Bed was squeeky, the matrass had a big dent in the middle and our room was right next to the very busy street. We were so tired of doing stuff in Barcelona that we had an excellent sleep. If you are a light sleeper bring earpluggs.